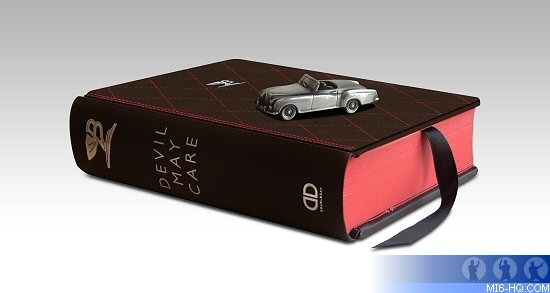 In a unique collaboration between three of Britain’s iconic brands – James Bond, Bentley Motors and Penguin Books - a special, limited edition of the new Bond book Devil May Care will be published on 28th May. Click here for full details. What was the design philosophy for the cover? The design captures traditional craftsmanship qualities and techniques and reveals design cues we are passionate about, while also paying homage to the first edition Ian Fleming books. It was important that the design was complimentary to both Bentley and Bond and the history behind both brands meant that the book should be something to be admired and cherished forever. How did you capture the spirit of Bond and the spirit of Bentley? Marrying Bond and Bentley had to derive from themes that linked both entities: passion, adventure and appreciation for the finer things in life. This helped shape the book into an item which would please people through an element of surprise but could also be admired as something which is unique and unobtainable to everyone. How does the use of materials reflect materials in Bentley cars? The choice of materials had to demonstrate the high quality and finishing evident in our cars. It was an opportunity to reflect on historical themes, for example the fluting on the inside book cover, along with the diamond stitching we use on the sport theme seat covers today. The juxtaposition of metal and leather is a theme we work with everyday, and is naturally explored in the design. 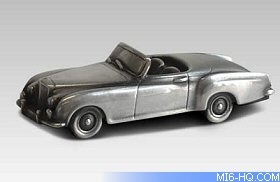 How did the idea for the pewter model Continental car come about? Kate Whatmore, one of our young designers, is very proud of this feature. She wanted the book to have a feel of sophistication and history but to make it “Bond” it had to have something that was a bit unexpected. 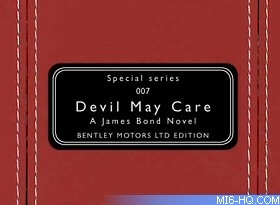 The element of surprise created from opening the book to find the car within allowed us to carry the Bond–Bentley theme throughout. 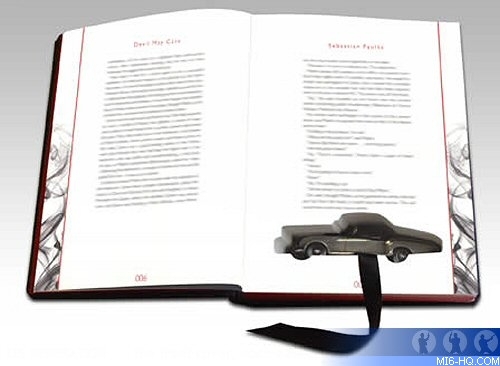 The model car is handmade and numbered to the book, which makes it a complete entity especially as the model is the car featured in the book. How closely did you work with Penguin? Working with Penguin was a unique experience. We learned a lot from designing around an unfamiliar product and certainly learned a lot technically about Bentley craftsmanship in relation to a product other than a car. The people we met and worked with from Penguin were very supportive and enthusiastic about the prospect of the book, Bentley and Kate’s ideas for the design. It was a very positive experience. What challenges did you face in both design and production? In all areas of design there are problems that challenge you as a designer to produce the best solution you can. The feasibility of a design idea is always the greater challenge to achieve the best aesthetics and quality. Transferring our design knowledge from the car world to a book was a new challenge for us, but working closely with Penguin, we think we have come up with a unique product which is complementary to the history of Bentley and Bond that can be appreciated by all audiences. Who at Bentley was involved in the project? We always start a project in the Bentley design studio by giving all designers a chance to have an idea input and then proceed with the selected work and the designer behind it. In this case it was Kate Whatmore, our lady in exterior design, who came up with the goods. Crispin Marshfield was at hand to help with the right process to follow and link with Penguin. I, as always, had the overview and the pleasure to select and guide the ideas and take them to fruition. Dirk van Braeckel, Chief Designer at Bentley, studied at the Royal College of Art, one of the first schools to specialize in car design. He then joined the Volkswagen subsidiary Audi in 1984, and was drafted in to head up Bentley’s design team when the VW group acquired the company in 1988. There he created the groundbreaking design of the Bentley Continental GT, launched in 2004 and one of the most successful sports coupes of our times. Only 300 copies of the Special Series edition will be produced, costing £750 each, available exclusively from the Penguin James Bond books website. 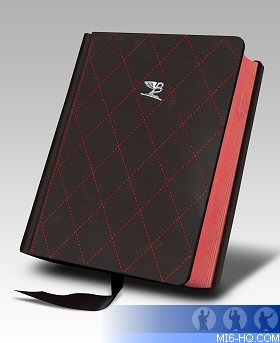 Penguin have also launched a special micro-site for the Bentley edition.